Yi Jing brings Mo Sheng to interview Xiang Heng. They send her away to go talk to Yi Chen because ahem, the two of them seem to have hit off! Mo Sheng sits at Yi Chen’s desk and plays pretend. And guess who walks in just in time to witness it all? Yi Chen tells her that during this break they will go back to Yi Shi to see Yi Mei’s parents. She complains that it’s too soon and he is curious as to why she thinks it’s too soon now when she had wanted to see them last time. She says that last time her hair was longer! Hahaha! Yi Chen drops Mo Sheng off at the exhibit to meet with Ying Hui. Ying Hui tells her this is a gift to her, but she is clearly uncomfortable. He expresses his plan: she takes photos, and he will collect them, then after a few years they have an exhibit, and when they are old they will look at photos to remember the past. He asks her if she understands that the love he is trying to find back is her. She refuses to believe this and he wants to know why she wants to reject him because they have been together longer. He tells her that when you lose something you can’t get it back to the way it used to be. 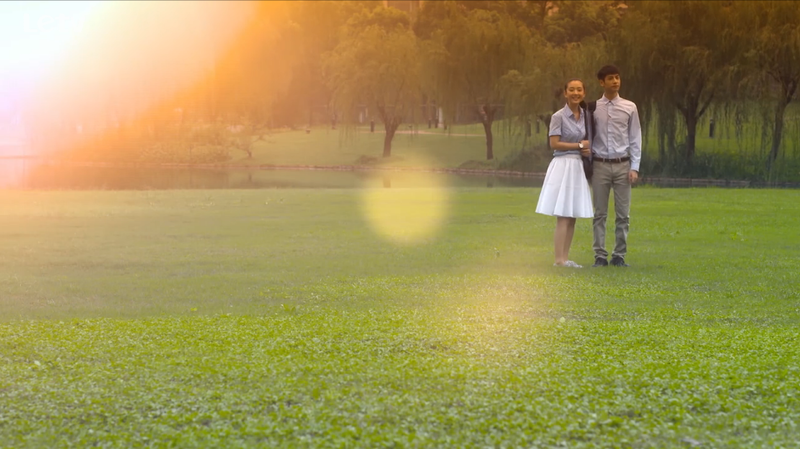 He even points out that Yi Chen let her move by herself and ran away to work right after they got married. She says that’s just before and that they are fine now. At long last, Ying Hui confess that their divorce proceedings have been declared ineffective by the court. Mo Sheng comes out of the exhibit hall to find Yi Chen still waiting for her. Mo Sheng tells Yi Chen about the divorce situation, and Yi Chen admits that he learnt of it a few days ago. He then brings her to a beautiful grass lawn. 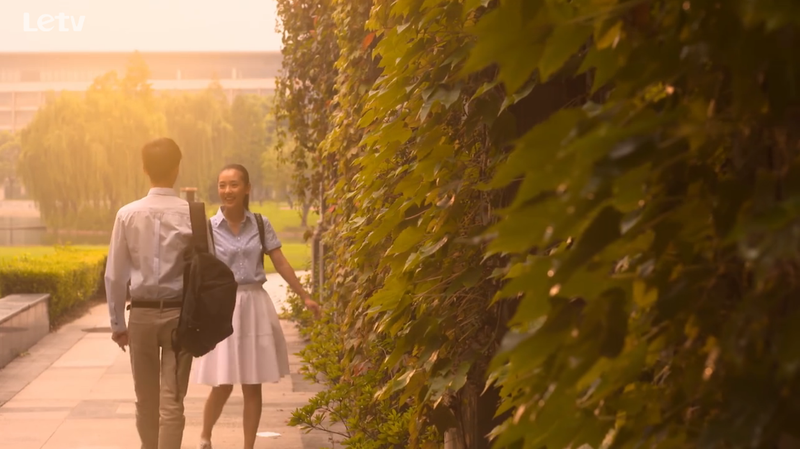 It is the place where young Mo Sheng had chosen as her wedding venue before, and also where young Yi Chen responded to her fantasy by telling her to go back and learn advanced math first. Heheh. Yi Chen tells Mo Sheng that this place is really hard to reserve, but because he knows one of the stockholders, so he got a spot. But dude, if it’s really hard to reserve, that must mean it’s full! How did you get a spot? You mean you kicked someone else out??? Yi Chen: Will you marry me? Mo Sheng: Aren’t we already married? Yi Chen: Like you said before, it’s not the same. Today is a marriage that belongs to us. The two of them then share a long and loving kiss until she suddenly coughs ^^;;. He asks her if she can be any more of a moodkiller, but she says she couldn’t breath! Then he says don’t worry, he won’t do anything now. She tells him that it’s actually okay to do something. And he questions if she means here and now because he has other places. After all that, Yi Chen finally wants to learn about what happened in the States. She warns him that it is a long story and they spend all night chatting until dawn breaks. And they stay in the same position the whole night, sharing half the bed…. Cute, but I would have wanted to move around. LOL. Maybe I’m just not a romantic??? Mo Sheng: I thought I would feel really sad when I bring up these things. But actually, I’m not sad. Yi Chen: You have me now. Mo Sheng: Tomorrow night, let’s talk about you. I want to do know what you did. Yi Chen: But my story is really boring, you will fall asleep. Mo Sheng: Wouldn’t that be perfect? It would be like a lullaby. Yi Chen: Mo Sheng, grow your hair out. Mo Sheng: Is it really ugly? Yi Chen has become a complete cheeseball and drops off Mo Sheng all giddy. Meanwhile the law firm is waiting for Yi Chen to come for a meeting, but he is late! Lawyer Yuan makes up a lie about how Yi Chen spent the night collecting material, but really we all know the truth! Finally, Yi Chen shows up! Lawyer Yuan and Xiang Heng both throw him dirty looks. After the client leaves, the bros quiz him on what happened. And his response? Yi Chen: Lao Yuan, get married, and then you will understand. Lawyer Yuan: Xiang Heng, did you see? He got married only for a few days and he is already showing off all the time. Xiang Heng: I’m already used to it. Lawyer Yuan: What? I’m going to post an ad for marriage candidates. Yuan Feng volunteers to go to Xiao Xiao’s press conference. Lawyer Yuan asks Yi Chen why Treasure is going to interview Xiang Heng but not him. Yi Chen tells him it’s because the magazine must also consider sales records. Yi Mei’s mom tells Yi Mei that she must forget Yi Chen because he is a married man now. Yi Mei complains that Mo Sheng is not good enough, but mom says it’s not what they think that matters. She also tells Yi Mei that raising Yi Chen was what they were supposed to do because they are family, and Yi Chen has given a lot in return. 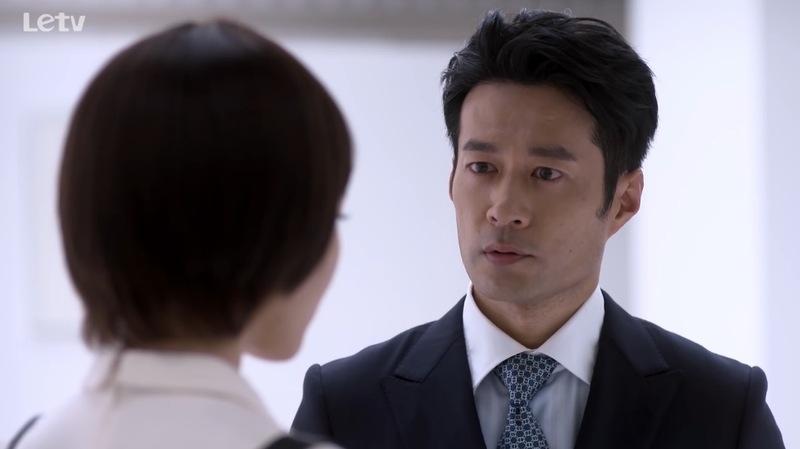 Yi Chen confronts Ying Hui about fabricating the divorce documents. 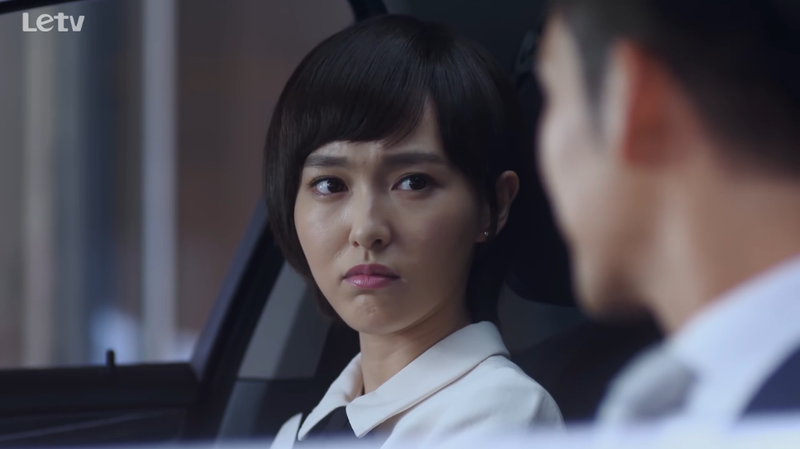 lol… Yi Chen simply didn’t wanna hear about how Mo Sheng supposedly fell in love with Ying Hui and their subsequent life together. Once they slept together, he realized she was a virgin, THEN he felt like hearing the story.